We’ve covered a few cuts like cushion or emerald, but the brilliant round is the one with which most people are familiar. 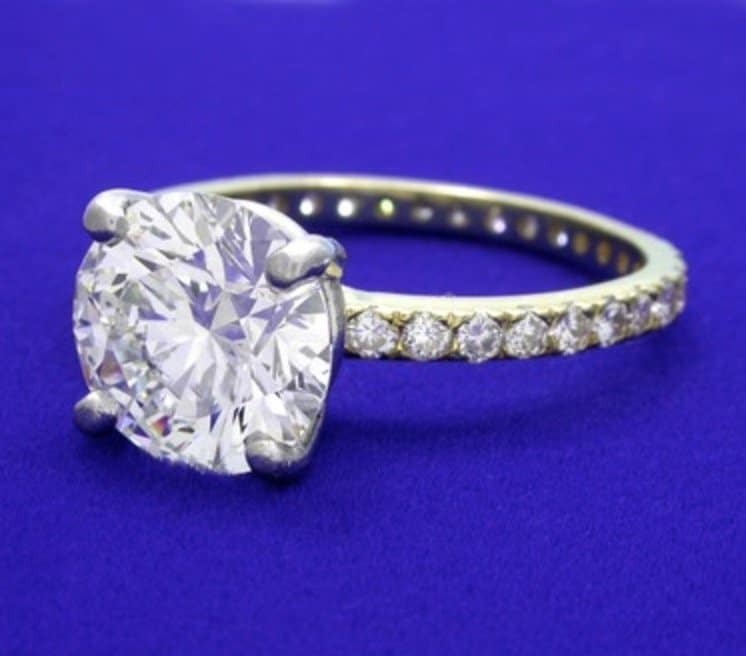 It’s been around since the early 1900s, and has been extremely popular as an engagement ring. When people think of engagement rings, they’ll often envision a simple round brilliant solitaire as the choice of ring. The round brilliant cut has many benefits to them including how great it looks by itself as well as as part of a halo or pave diamond setting. The popularity of the brilliant cut means that you’ll be able to find a diamond that suits your needs and the type of metal and color that you’re looking for in a diamond engagement ring. You can choose rose, white, or yellow gold as well as a platinum or tungsten depending on your personal preference. In fact, some wooden rings look incredible with a simple, round brilliant cut diamond. The ability of the cut to reflect light means it has more fire and brilliance than other cuts. It’s what makes the cut so popular for engagement rings. They’re flashy and eye-catching, which leads to many women loving how they look as engagement and wedding rings. The popularity of the cut means that jewelers are often taking diamonds and creating brilliant round cuts. 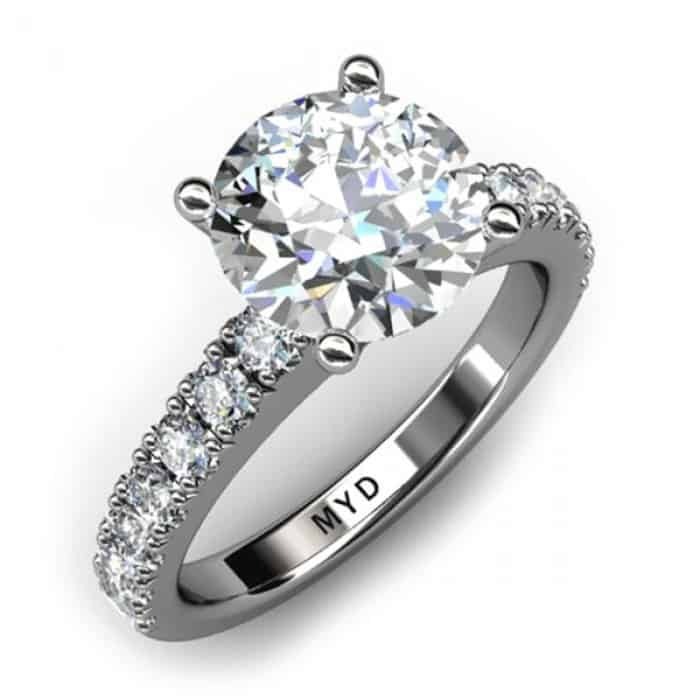 You’ll be able to find the right diamond ring for your loved one or yourself without having to compromise on the design style that you want. You can get a solitaire, a trio of round brilliant stones, or a pave or halo of small surrounding diamonds. While some cuts don’t always look great as a solitaire, the round brilliant is what many people come to expect in a solitaire diamond engagement ring. They’re a traditional type of design that fits well with the solitaire and real engagement approach that people are used to in diamond rings. It’s recommended that you stay above a G for color on the GIA scale and SI1 or SI2 for clarity, but that leaves a lot of room for diamonds which are not flawless. This can mean a lower quality diamond is within budget because it looks flawless, bright and full of fire. Some cuts have corners and issues with chipping like the emerald, but that’s not true with the brilliant round diamond cut. The setting won’t have to be strategically placed to keep the corners from danger either. There’s no worry about banging it on a hard surface and chipping it. With no corners to worry about, you can purchase your round brilliant with a variety of settings. 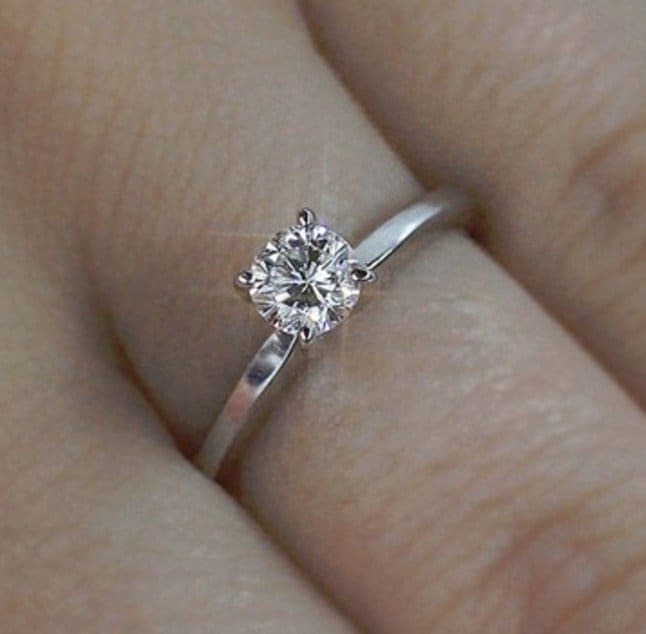 You can get a prong setting or a bezel setting depending on the type of diamond engagement ring you want to purchase. You might also want to get a tension setting for a unique spin on your brilliant round choice. If you ever decide to sell your diamond ring or upgrade to a bigger diamond later, you will have no problem selling your ring to another person. 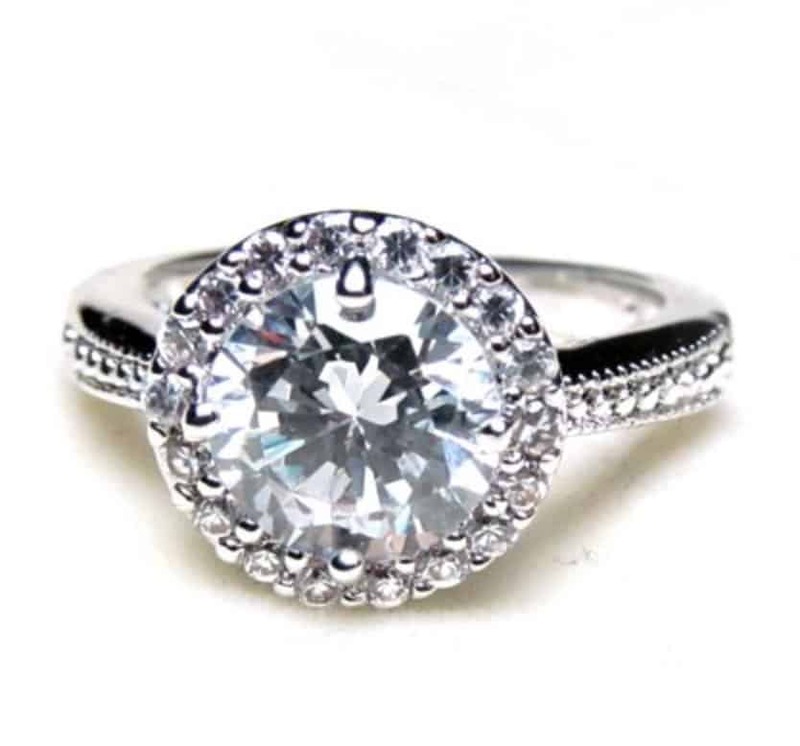 The resale value will not lower due to trends or less demand for the type and style of the ring. There are more benefits to the brilliant round diamond than disadvantages, but there are a few. We want to provide you with all the information you need to make an intelligent purchase of such an important piece of jewelry. While some cuts are low cost, the brilliant diamond is on the higher end of diamond costs. You won’t be able to buy a 2 carat round brilliant for the same cost as an emerald or princess cut diamond engagement ring. When the round brilliant is cut by a jeweler, much of the diamond is removed to give the cut its brilliant facets. This means that much of the diamond itself is cut from the stone underneath. That can make it difficult to find a large carat as well as making the higher carats way more expensive than other cuts. Purchasing this popular type of diamond cut means that there’ll be no real difference between on solitaire and the next. 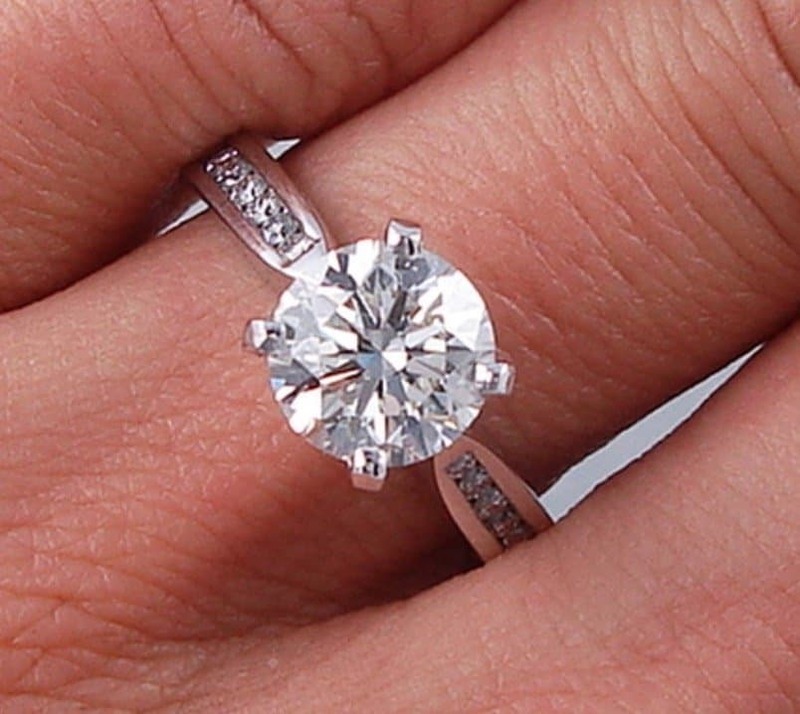 A round brilliant solitaire is so common that there’s no unique qualities for the person wearing it. While this isn’t a concern for some women, others want a more unique and special piece of jewelry when they’re getting engaged. The brilliant round diamond engagement ring is an iconic choice for a proposal. While you can’t go wrong with this type of cut, you want to be sure that you’re making the ring as special as possible. A woman who loves the traditional, iconic solitaire diamond will absolutely love this style cut.